Please contact us if you have any queries. Thanks. Better known as A FAMILY OF CHAMPIONS, E-TracX has been on a mission to create champions and unite communities for more than a decade. As one of the most established DJ schools in Asia, E-TracX has trained countless students from all over the world, where many have gone on to become professional DJs, as well as won Best DJ Awards and represented Singapore on the world stage. We, at E-TracX, believe that if we come together in a positive way, and if we support and inspire each other to be the best that we can be, we can change the world for the better. WE ARE E-TRACX! WE ARE A FAMILY OF CHAMPIONS!! 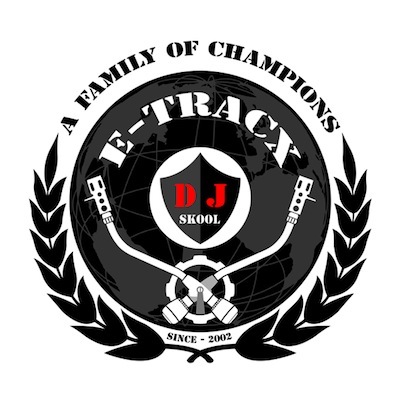 At E-TracX DJ Skool, we specialize in conducting DJ Courses and Workshops both in-house and off-site. Our students are regarded as champions, not only because they have won competitions, awards, and excelled in the industry, but mainly because they support and inspire others. As many have mentioned, “E-TracX is family”. E-TracX, better known as A FAMILY OF CHAMPIONS, is a close-knit community that shares, not only passion, but knowledge, guidance, and support. 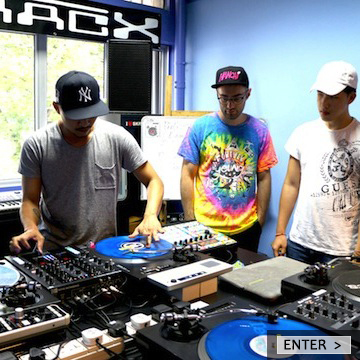 Setup in 2003, E-TracX DJ Skool is one of the most established DJ Schools in Asia that has had the privilege of working with some of the best DJs, Turntablists, and Music Producers. Top notch school. A lot of the greats started off at E-TracX. I personally started my proper education here, too. One word that comes up frequently about the E-TracX crew is “Family”. Mad skills aside, they’ve educated and nurtured some of the freshest DJs, humbly supporting and growing the music scene in Singapore. E-TracX is a breath of fresh air, providing a platform to promote different music and ideas. Come join us and be a part of it all, you’ll see what all the fuss is about. The people at E-TracX are professional, sincere, and really really nice. Not to mention you’ll be learning from the industry best, like KoFlow and Edwin. Seriously I can’t think of a better place to learn turntablism or DJ-ing. All the people at E-TracX are about making music, having fun and building a community. I started learning in 2009, but I’m still hanging out with them today. Gigs, jam sessions, makan sessions etc, the E-TracX experience truly worth every cent I paid for the class. The best place to hangout and learn from. You don’t just learn Deejaying/Scratching/Production, you learn much more than what you signed up for. These are people who are family oriented, and they’ll never fail to get you back on track, to back you up, and to teach you stuff you’ll never think of. Being with E-TracX has been an eye opener or should I say ear opener! Million thumbs up!! For more reviews, please check out our Testimonials page.